Today is World Day to Combat Desertification because on 17 June 1994 the United Nations Convention to Combat Desertification in Those Countries Experiencing Serious Drought and/or Desertification, Particularly in Africa (UNCCD) was adopted in Paris. Its purpose is to address desertification and mitigate the effects of drought through national action programs that incorporate long-term strategies supported by international cooperation and partnership arrangements. Almost every nation in the world is a signatory. Canada withdrew in 2013 because the, then, conservative government was concerned about the financial efficiency of the UN program (claiming that only 18% of money paid into the fund went on programming, and the rest was spent on bureaucracy). Otherwise 194 countries participate in worldwide partnership. Only about 10 micro-nations are not party to the Convention. Combating desertification is a component of linked ecological strategies worldwide that include encouraging sustainable agriculture, using sustainable alternatives to fossil fuels and reducing carbon emissions, halting climate change, and conserving water resources. The global observance event on 17 June 2016 will be held in Beijing. 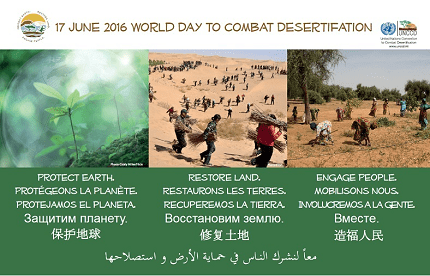 By organizing the global observance in China, the 2016 WDCD will demonstrate how Land Degradation Neutrality can be a critical element for achieving other sustainable development goals, especially for promotion of inclusive and sustainable economic growth. Desertification is defined in the text of the United Nations Convention to Combat Desertification (UNCCD) as “land degradation in arid, semi-arid and dry sub-humid regions resulting from various factors, including climatic variations and human activities.” The earliest known discussion of the topic arose soon after the French colonization of West Africa, when the Comité d’Etudes commissioned a study on desséchement progressif to explore the prehistoric expansion of the Sahara Desert. 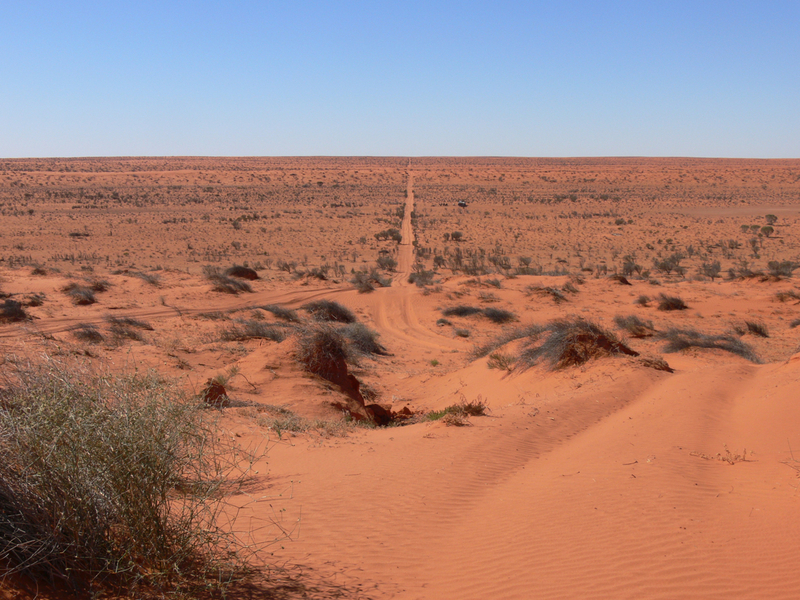 The world’s most noted deserts have been formed by natural processes interacting over long intervals of time. During most of these times, deserts have grown and shrunk independent of human activities. Paleodeserts are large sand seas, some extending beyond the present margins of core deserts, such as the Sahara, the largest hot desert. Desertification has played a significant role in human history, contributing to the collapse of several large empires, such as Carthage, Greece, and the Roman Empire, as well as causing displacement of local populations. Historical evidence shows that the serious and extensive land deterioration occurring several centuries ago in arid regions had three epicenters: the Mediterranean, the Mesopotamian Valley, and the loess plateau of China, where population was dense. Drylands (areas where precipitation is counterbalanced by evaporation) occupy approximately 40–41% of Earth’s land area and are home to more than 2 billion people. It has been estimated that some 10–20% of drylands are already degraded, the total area affected by desertification being between 6 and 12 million square kilometers. About 1–6% of the inhabitants of drylands live in desertified areas, and around one billion people are under threat from further desertification. The immediate cause of desertification is the loss of vegetation. This is driven by a number of factors, alone or in combination, such as drought, climatic shifts, intensive tillage for agriculture, overgrazing, and deforestation for fuel or construction materials. Vegetation plays a major role in determining the biological composition of the soil. Studies have shown that, in many environments, the rate of erosion and runoff decreases exponentially with increased vegetation cover. Unprotected, dry soil surfaces blow away with the wind or are washed away by flash floods, leaving infertile lower soil layers that bake in the sun and become an unproductive hardpan. A downward spiral is created in many underdeveloped countries by overgrazing, land exhaustion and overdrafting of groundwater in many of the marginally productive world regions due to overpopulation pressures to exploit marginal drylands for farming. Decision-makers are understandably averse to invest in arid zones with low potential. This absence of investment contributes to the marginalization of these zones. When unfavorable agro-climatic conditions are combined with an absence of infrastructure and access to markets, as well as poorly adapted production techniques and an underfed and undereducated population, most such zones are excluded from development. This results in mass migrations out of rural areas and into urban areas, particularly in Africa. These migrations into the cities often cause large numbers of unemployed people, who end up living in slums. 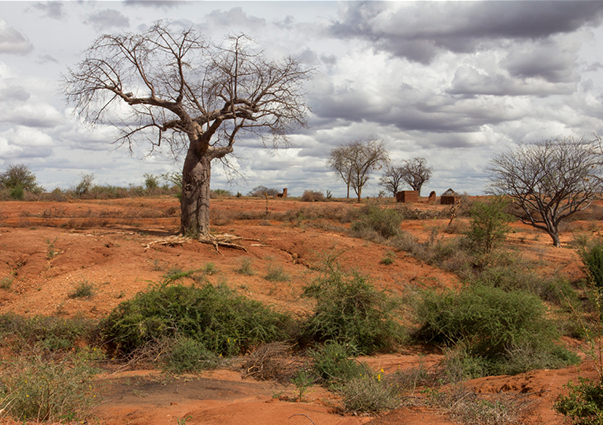 There are techniques for mitigating or reversing the effects of desertification; however, there are numerous barriers to their implementation. One of these is that the costs of adopting sustainable agricultural practices sometimes exceed the benefits for individual farmers, even while they are socially and environmentally beneficial. Another issue is a lack of political will, and lack of funding to support land reclamation and anti-desertification programs. Reforestation gets at one of the root causes of desertification and is not just a treatment of the symptoms. Environmental organizations work in places where deforestation and desertification are contributing to extreme poverty. There they focus primarily on educating the local population about the dangers of deforestation and sometimes employ them to grow seedlings, which they transfer to severely deforested areas during the rainy season. The Food and Agriculture Organization of the United Nations launched the FAO Drylands Restoration Initiative in 2012 to draw together knowledge and experience on dryland restoration. 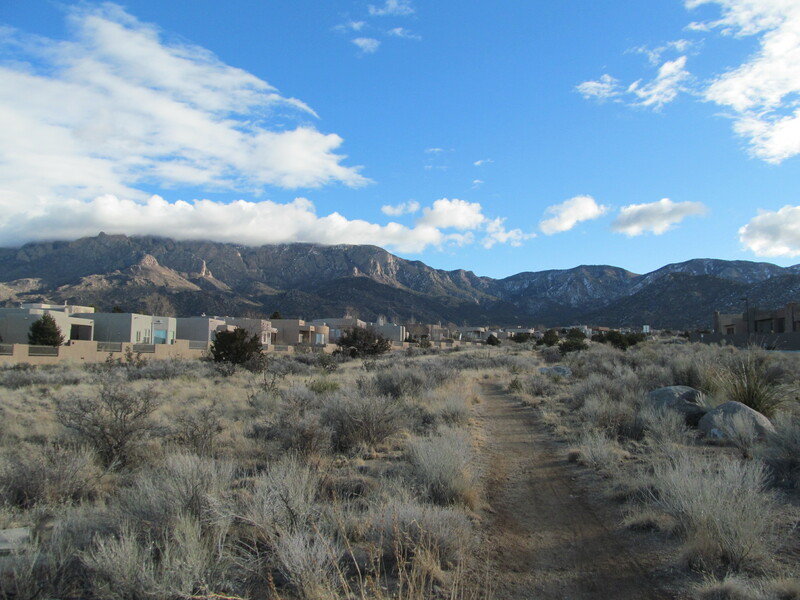 I have lived in or near desert areas for many years, notably in Australia as a youth, and in New Mexico in the mid-1990s (where I conducted anthropological research on local populations). 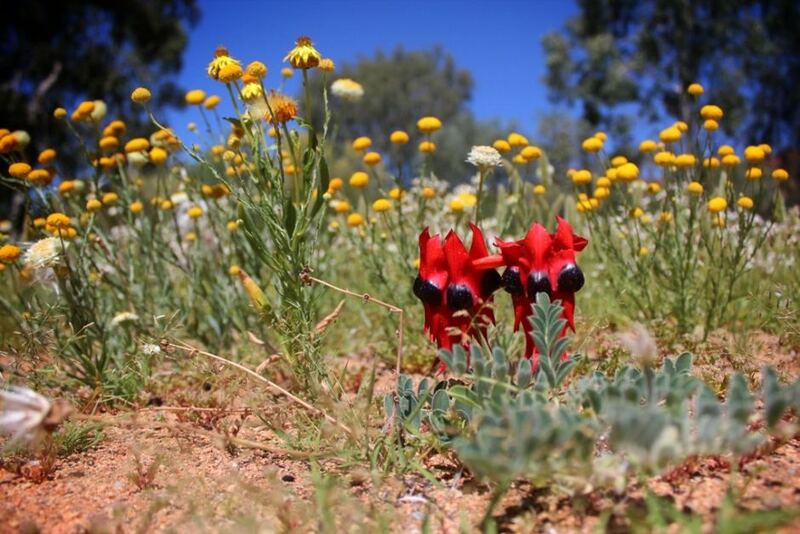 If you are used to living in a well-watered temperate region, deserts can seem stark and inhospitable, but they are not what they appear to the untrained eye. I grew to love the desert regions of the North American southwest after I had lived there for some time. You may imagine the vast tracts of dunes from Lawrence of Arabia, or the Sahara in general, when you imagine desert areas, but these images are not characteristic of deserts on the whole. Deserts are home to a diversity of plants and animals (as well as humans), and can be very productive if managed well. If you have lived in a desert region you’ll know the difference that water can make. I well remember the first time that I was driving in an arid region of New Mexico, turned down a small track, and within a few miles I was suddenly in a lush, green environment, filled with green trees and shrubs, contrasting with the desert browns, because I had struck on a river valley. The vegetation was only dominant within a few meters of the river’s edge, and beyond that zone, desert prevailed. But it was immediately obvious what a difference water can make. I also recall one amazing year in South Australia when there were heavy rains in the interior. This sort of event may occur only once or twice per century. Dry saltpan beds became temporary lakes, rivers flowed where there had been none, and the desert sprang to life. It was amazing to see. Such events show clearly that with proper management drylands can support abundance. It’s a big undertaking, however. I also recall the reclamation attempts in my youth in arid parts of Australia that involved massive effort and financing, but when you looked on a map the area covered by the projects was minuscule in comparison with the total land mass of the continent. Containing and reclaiming desert areas is a massive undertaking that requires global commitment and cooperation. 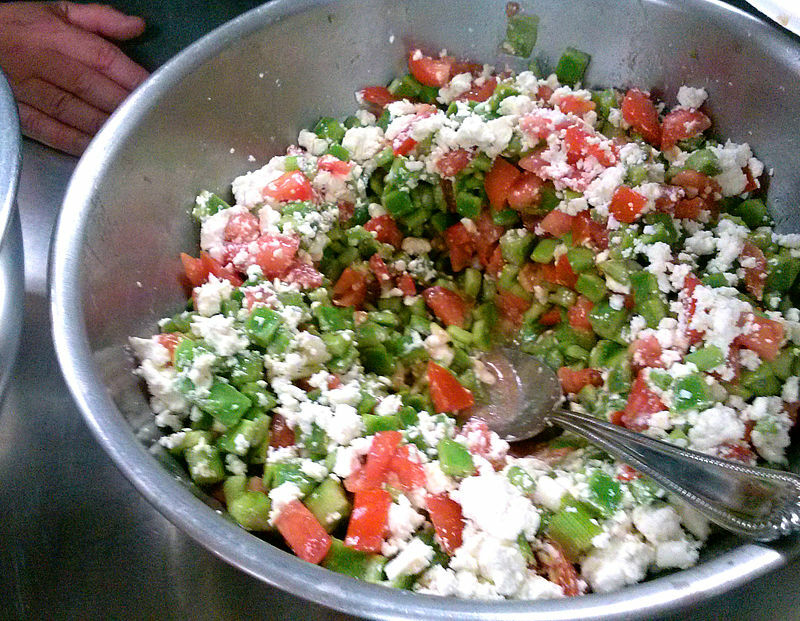 Desert plants have many culinary uses. Everyone knows, I hope, about agaves, especially blue agave, native to the Mexican states of Jalisco, Colima, Nayarit and Aguascalientes, and the key ingredient in the production of tequila. Nopal (from the Nahuatl, nohpall) is a common name in Mexican Spanish for Opuntia cacti (commonly referred to in English as prickly pear), as well as for its pads. There are approximately one hundred and fourteen known species indigenous to Mexico, where the plant is a common ingredient in numerous Mexican cuisine dishes. 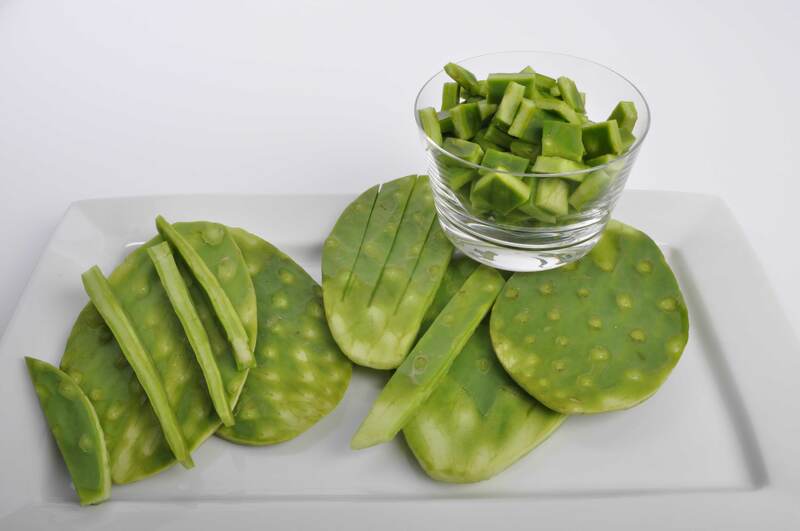 The nopal pads can be eaten raw or cooked, used in marmalades, soups, stews, and salads, as well as being used for traditional medicine or as fodder for animals. Farmed nopales are most often of the species Opuntia ficus-indica or Opuntia joconostle although the pads of almost all Opuntia species are edible. The other part of the nopal cactus that is edible is the fruit called “la tuna” in Spanish, and the “prickly pear” in English. Nopales are generally sold fresh in Mexico, cleaned of spines, and sliced to order on the spot. You can also buy them canned or bottled in good supermarkets or online. Cut into slices or diced into cubes, nopales have a light, slightly tart flavor, like green beans, and a crisp, slightly mucilaginous texture. Nopales are most commonly used in Mexican cuisine in dishes such as huevos con nopales (eggs with nopal), carne con nopales (meat with nopal), tacos de nopales, in salads with tomato, onion, and queso panela (panela cheese), or simply on their own as a side vegetable. Nopales can also be found in the Hispano communities of Arizona, New Mexico, and Texas. Most commonly I use nopales as a salad ingredient when I can get them – which is not often now. They make a nice crispy, tangy addition. More rarely I use prickly pear fruit as an ingredient in fruit salads. They come in great variety, some very sweet, some more astringent to the taste buds. 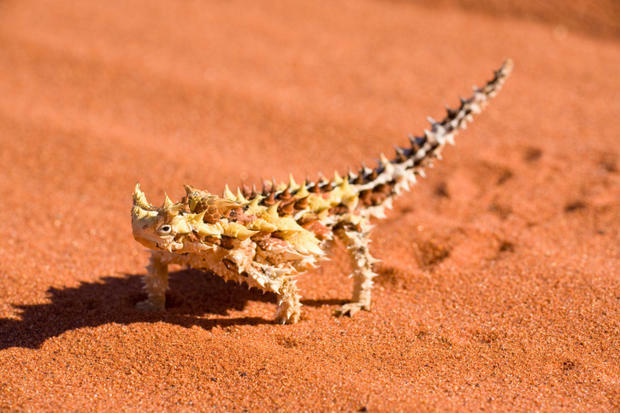 In supermarkets they come stripped of spines, which is just as well because they are extremely difficult to handle in the wild. Cut them open and scoop out the soft interior flesh. It pairs well with other fruits or with vanilla ice cream.